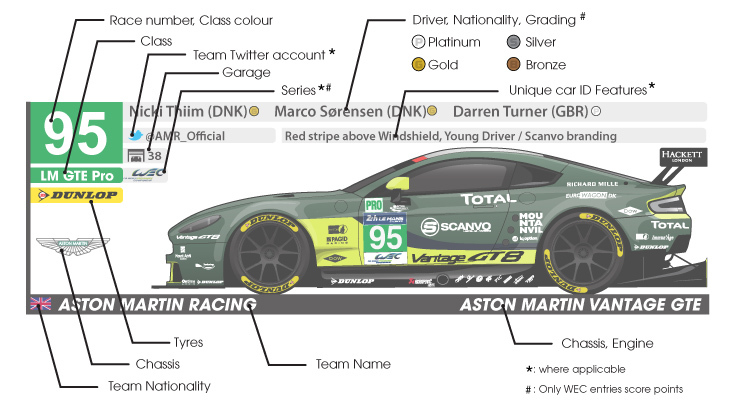 I am very pleased to announce the Le Mans edition of the SpotterGuides.com has been launched, thanks to a partnership with Dunlop Motorsport. As with previous years, the guide features all the information you need, be it at home, at La Sarthe itself as a fan, marshal, commentator, media or race engineer. From Driver grading to Pit garage allocation and Twitter handle, everything is covered making this the one resource to have at your fingertips. The third page of the guide will feature map, timetable and other useful information. 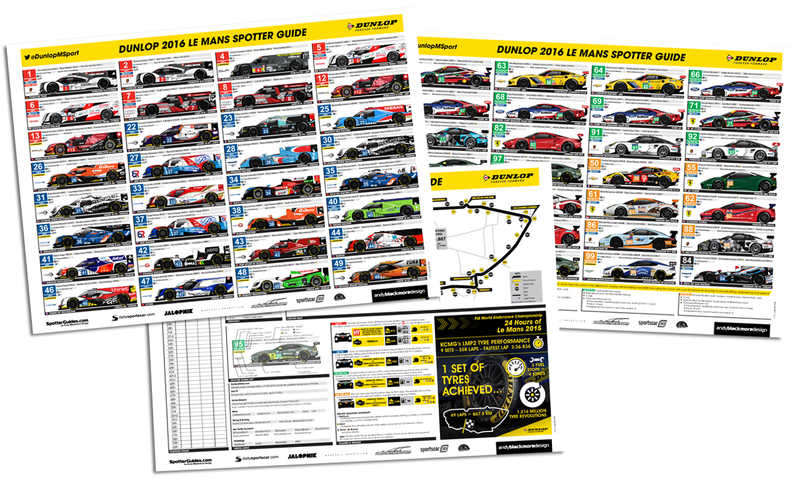 Version1 of the Dunlop Le Mans Spotter Guide is now available on this dedicated page. 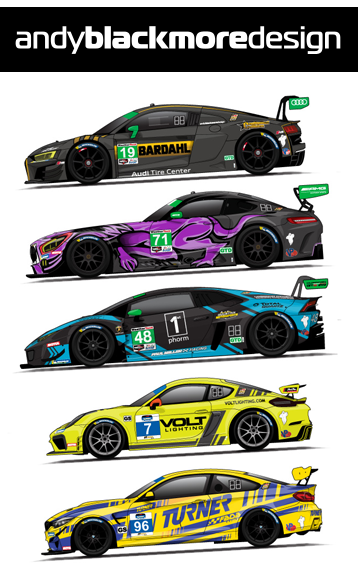 If you like the Spotter Guide series and find it useful, I would appreciate it if you follow Dunlop Motorsport as a thank you on Twitter. Huge thanks to Dunlop and James Bailey for partnering with the guide for this year. 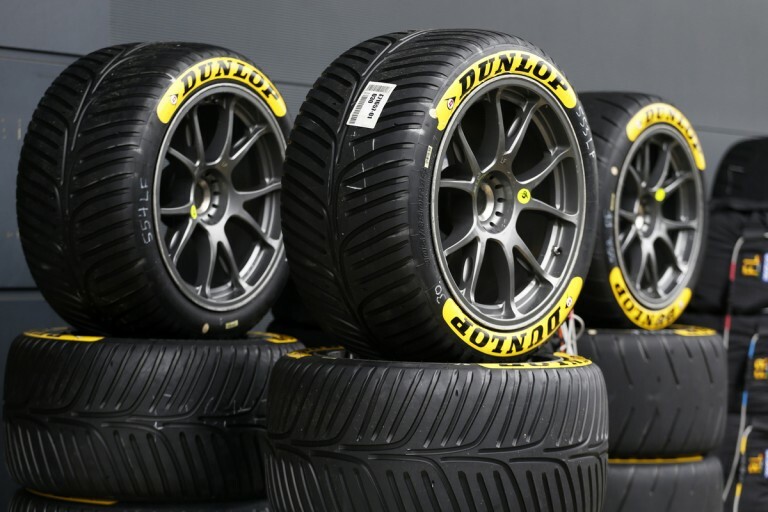 Its been hard to obtain sponsorship to offset some of the cost of producing these, so I really appreciate Dunlop stepping up to the plate. I have a large number of guides releasing over the coming weeks, a summary is below.